Patterns of transformation focus on what transformative change means in the Anthropocene. Scaling up for transformative impact will focus on factors for fundamentally changing human-environmental interactions and feedbacks. The role of change agents in sustainability transformations will focus on the role of individual agency and networks in driving transformative processes. 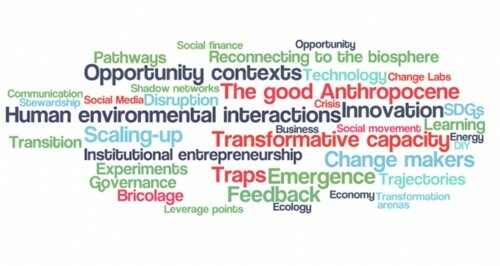 New and emerging approaches for studying sustainability transformations will involve discussions about new types of research methods and approaches. Transformations2015 is hosted by Stockholm Resilience Centre and organized in collaboration with several other institutions, and it will take place 5-7 October 2015, in Stockholm, Sweden. The conference is set up to hold approximately 200 people. 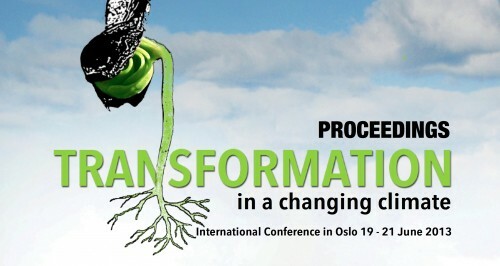 This will be the second transformations conference in a series of biannual conferences, and following the start up in Oslo, Norway, with the conference “Transformation in a Changing Climate” in June 2013. If you want to have a look at what was presented in Oslo at the Transformation 2013 conference in Oslo please have a look at the Proceedings. Containing 27 articles on different themes and aspects of transformation. ⇐ Staying Below 2°C — What’s Realistic?